Hale Pohaku in the 1920's and 30's. 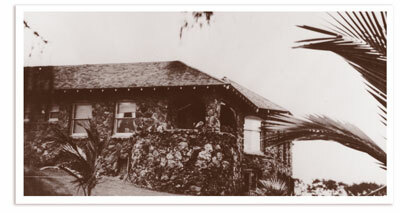 Hale Pohaku was the private vacation home of Mr. Alfred Hocking, a prominent Honolulu businessman and statesman. Hocking was born in Cornwall, England in 1852 and arrived in the United States as a young man. He spent several years in Wyoming, South Dakota and Montana before moving to Maui to work for H.P. Baldwin. Hocking moved to Honolulu in 1899. He opened the Honolulu Brewing and Malting Company in the large brick "Primo" breewery building that is still on Queens Street today. He served as its president and general manager. Hocking was later elected to the board of supervisors of Honolulu county. The first county act was declared unconstitutional by the supreme court of Hawaii. Hocking did not run for office again. He died on July 21, 1936. 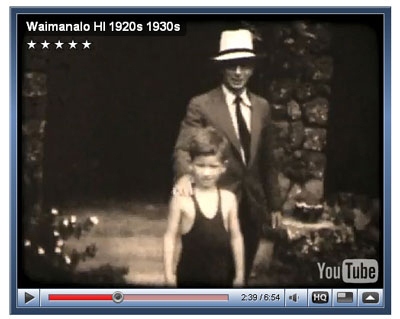 In the late 1920's, Hale Pohaku was the first home built on then pristine Waimanalo Beach. 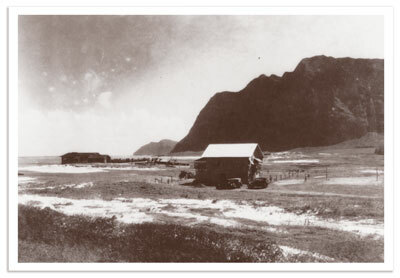 A short ways away, Lanikai Beach was first opened about the same time. Hale Pohaku was bought as a vacation home and rental in 1964 by a Honolulu Chinese society headed by York Hon Hu. 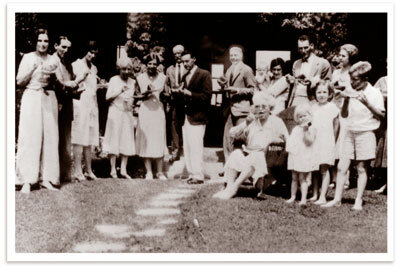 The home is enjoyed and shared today by the families of the heirs of York Hon Hu.